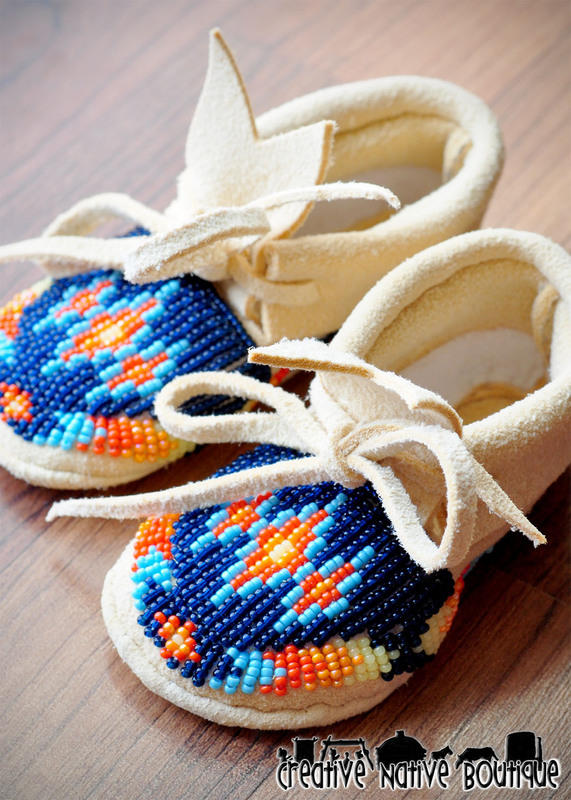 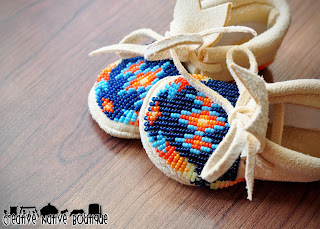 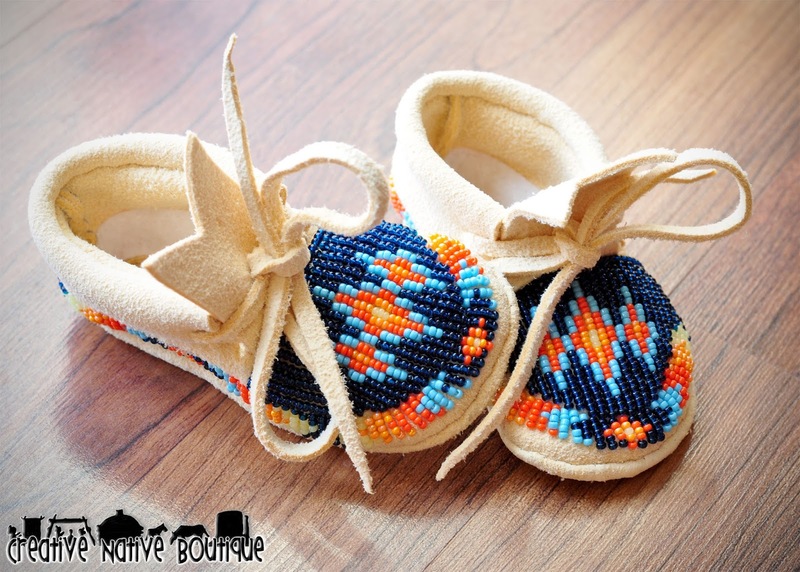 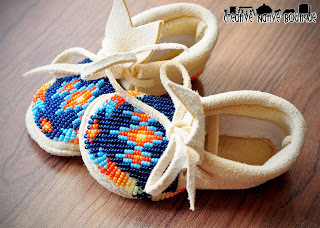 These gorgeous one of a kind baby moccasins are on their way to Texas! 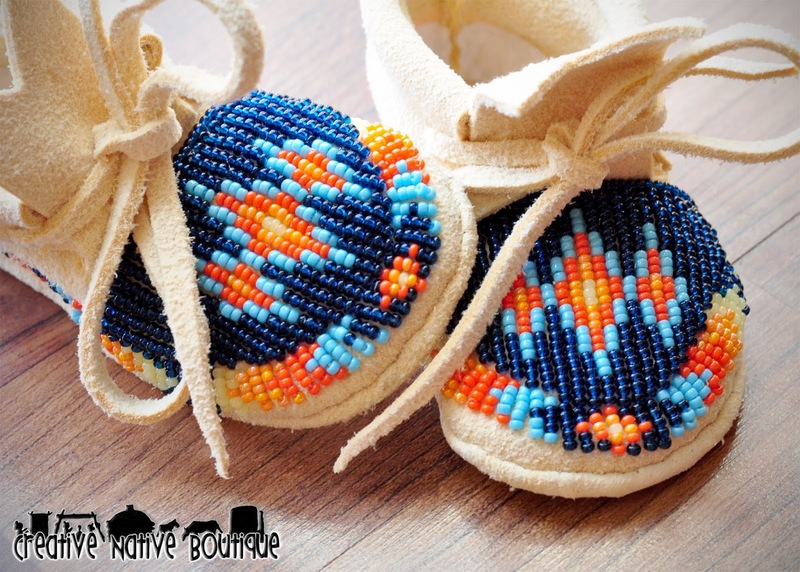 They have a fully beaded toe and full border. The 3 diamond design is so pretty against that dark blue! Perfect for that new baby boy! If you're interested in a Custom Order, send me an email!